Local newspaper advertising is a marketing strategy that has been working for many businesses as it is a more direct way of reaching prospects and sending out your brand message. By focusing on your local customers, you can attract them to your brick-and-mortar store or entice them with an offer that is relevant to their interests. Here’s what you need to know about local print media ads and why they would be a good strategy for your marketing campaign. More affordable than television, direct mail, or radio advertising. Flexible timelines and no limit to exposure with print ads as they can be viewed at leisure. Readers can take their time with the messages by browsing your ad in the local paper, and seeing it pop up every time they go back to finish reading a story. The average issue of a daily or weekly newspaper reaches more people than the average half-hour prime time TV show. Since you’re targeting a wide community of people who are likely to buy into your products and services, local print ads offer tremendous advantages. There are a multitude of advertising options. You can experiment with your ad by adjusting the size, format, color, and style to achieve the desired impact. You will benefit from reaching an audience who already finds value in reading print media content as part of their daily routine. Should I take the newspaper up on its offer to design an ad for me for free? No. If a newspaper’s ad representative tells you that its department can produce a great ad for free, don’t fall for it. These departments often produce poor-quality ads, and you would be better off paying a freelancer to tackle the project for you. It’s better to work closely with someone to put together an ad you can be pleased with. Should I run the same ad repeatedly? Yes! Running the same basic ad design or format repeatedly will build your company identity and create awareness among consumers. It is also worth your time and investment to choose one spectacular design concept and tweak it periodically to meet your new product requirements or special sales. Do I need a photograph or artwork to attract attention? The main thing to keep in mind is that your ad should look professional. Whether you incorporate photographs and artwork or not is not as important as making sure your ad is direct, clear, and easy to read. What is the best day to run my ad? The best day to run your ad depends on the product or service category you are in. Wednesday is a great day to distribute information about grocery and food products, while generic products and services gain good responses any day of the week. How important is position within the newspaper? Since consumers look for certain types of products and services in specific sections of a newspaper, you can take advantage of this and run your ad in the appropriate section. However, if your ad does not fall into a natural category, positioning won’t make a difference. Should I run an ad in my local town newspaper or the metropolitan city newspaper? Targeting your prospective market as directly as possible is a great strategy for small- to medium-sized businesses. It allows you to connect with an audience that can directly access your store or products and provides future benefits such as reduced shipping costs. Can I get cheap rates/discounts for ad space? Yes! Remnant newspaper advertising is used by many businesses—it is offered at a cheaper rate than other options, so if you’re on a tight budget, there are great options for you. This option allows you to showcase your business and gain leads at a fraction of the cost. Newspapers that would normally be too costly to post your ads upfront often have leftover ad space available to purchase. 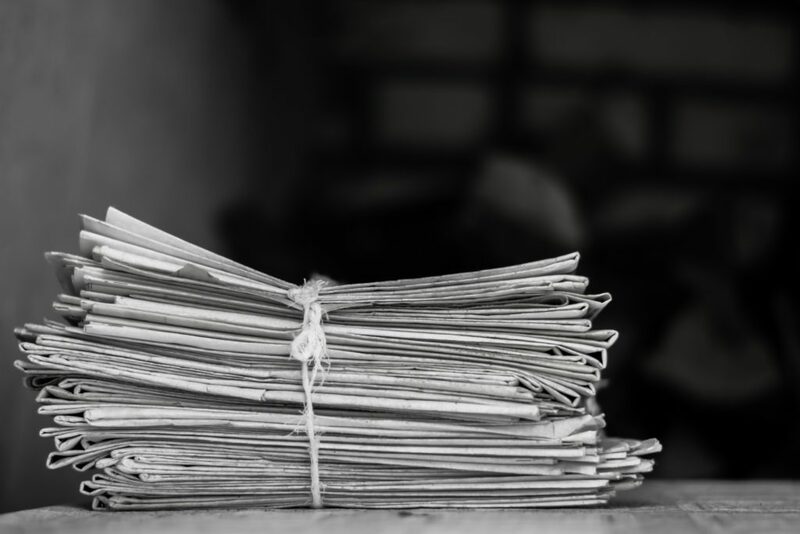 A reliable remnant ad broker can help you make the right decisions and negotiate with newspapers about the space available to you, without going past your budget. How Can Macromark Help You with Your Print Media Campaign? Many small- to medium-sized businesses are missing out on the benefits of local print media advertising because they believe online marketing is the only way that brings instant success. However, newspaper advertising works well on its own and can actually add to the success of digital marketing and sales campaigns. With the right guidance and support, you can create an effective newspaper advertising campaign that connects to your audience and entices them to visit your web site, online store, or physical store, and make a purchase. Building a newspaper campaign needs to be done the right way so working with a professional marketing agency will allow you to benefit from the advantages that come along with the medium. If you want to experience the advantages of a successful newspaper and print media strategy, contact Macromark. We can help you understand the pros and cons of print media vs. electronic media and this opportunity to grow your customer base. We can provide all the information, advice, and assistance you need to get your print catalog marketing campaign up and running. Our services also include print media, direct mail marketing, list brokerage, data solutions, list fulfillment, and list management. For more information about how we can help grow your business, contact us at 1-(845)-230-6300.